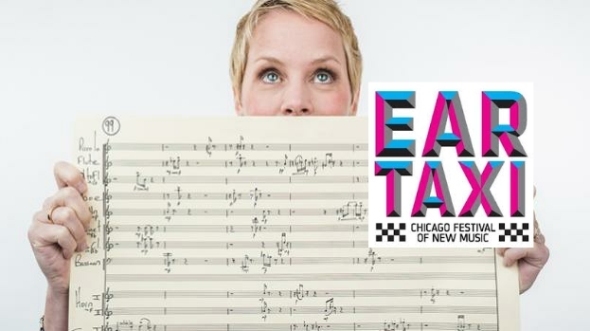 Review: Ear Taxi Festival, at various Chicago locations, features 88 composers, 300 musicians and 54 world premieres through Oct. 10. Classical music can seem like it only has to do with the past. Mainstream symphony orchestras and chamber ensembles devote much of their time to performing works by such past giants as Mozart or Brahms. It is easy to forget that composers like Beethoven and Stravinsky were once radicals shaking up the status quo and, in the case of the latter, even causing a near riot. And it’s also easy to forget that classical music didn’t stop in the 19th or even 20th century. Composers who are likely to be remembered decades if not centuries from now like John Adams, Sofia Gubaidulina and Kaija Saariaho are at work creating the masterpieces of today. An extraordinary six-day event celebrating this “now” side of classical music, Ear Taxi: Chicago Festival of New Music, opened Oct. 5, turning the spotlight on Chicago as a hotbed of musical creativity. Conceived by noted composer Augusta Read Thomas, Ear Taxi brings together 88 composers and more than 300 musicians and features a mind-blowing 54 world premieres. Put simply, it makes Chicago hands down the best place in the U.S. and probably the world to experience new music this month, and that well may apply to the whole year. Upon walking into the Harris Theater, it became immediately obvious that what was happening was no traditional classical music concert. In the middle of the seats was a sound mixing board, because at least half of the performances were amplified, and irregularly curved lines of fuchsia light were splashed across the stage curtain. But there was no sense of buzz because there were only about 150 people in the audience for the 5:30 p.m. performance featuring composer, pianist and vocalist Patricia Barber. 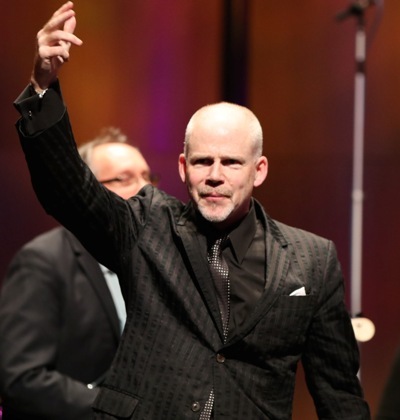 Which made those 150 the lucky few: The world premiere of Barber’s new song cycle, “Angels, Birds and I” (2016), just might have been the most compelling revelation of the evening. 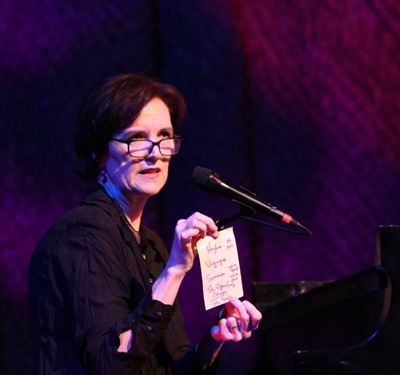 As the composer, best known as a jazz artist, explained from the stage, she is trying a write a new kind of art song that falls somewhere in the space between classical music and jazz. Soprano Renée Fleming already made this connection after hearing some of Barber’s earlier songs, and the classical singer has performed some of them. But with this new 30-minute cycle, Barber has dived more deeply into this cross-genre realm, eliminating the drummer that is usually part of a classic jazz combo and expanding into what she called a more classical harmonic realm. Her lyrics have always been eloquent and meaningful, and it is hardly a stretch to call the texts for these songs genuinely poetic. What results is a group of five true art songs that possess the kind of affecting depth, storytelling and expressiveness we expect of this intimate form. Barber’s songs have always had a light, airy feel but in this context, they seemed Debussy-like. The most art song seeming of the five songs was the first, “Higher,” probably because she sang it without Patrick Mulcahy, the bassist who joined her for the other four. It was just her voice and the piano, the way we are used to hearing traditional art songs. Barber has a straightforward, unfussy yet evocative voice with a striking, dark hue that she draws on at times to vivid effect. Her singing and her piano-playing are inseparably twinned and they complement each other bar for bar. She brings a relaxed, free feeling to her playing, never afraid to linger on a note or a word. It is a freedom that comes from the jazz world but also one that comes from being the creator of these songs and knowing them from the inside out. Along with the daily series of concerts, Ear Taxi also includes an array of auxiliary activities such as the panel discussion that occurred in the first-floor lobby of the Harris Theater during a late-afternoon break. It brought together four different participants in the realm of new music – the composer, performer, presenter and patron – to discuss both the joys and challenges. “New music is fun,” said Cynthia Mead Sargent, a long-time patron of contemporary works and a sponsor of Ear Taxi. But the sometimes jarring sounds can be a turn-off for many listeners, and it can be tough to sell tickets to concerts without recognizable names like Mozart or Beethoven. 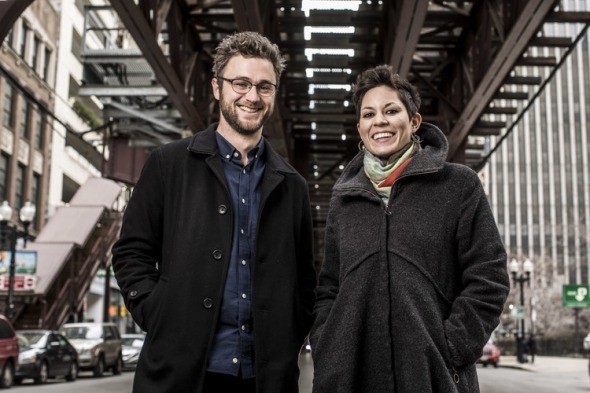 “It is our imperative to connect,” said Tim Munro, flutist and co-artistic director of Eighth Blackbird from 2006 through 2015. By the time the evening performance began, the audience had grown to about 375 people, and judging by the conversations heard during the breaks, many of them were fellow members of the contemporary music community. 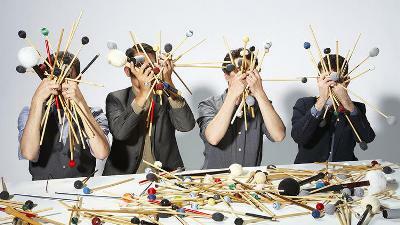 The Fulcrum Point New Music Project, a Chicago-based ensemble led by Ear Taxi co-curator Stephen Burns, started the offerings with a 45-minute program that was oddly unvaried — three in-your-face, often assertively discordant works. 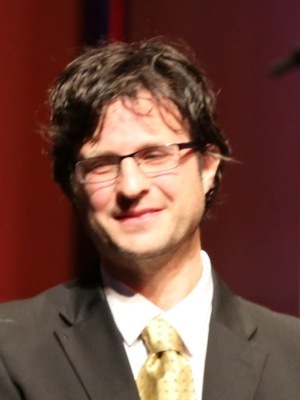 The stand-out of that grouping was the Chicago premiere of “Fahrenheit” (1999), a nearly 15-minute work by Mischa Zupko, who was Fulcrum Point’s composer-in-residence in 2010-11. It consists of colliding, cascading, multilayered musical lines with a propulsive, rhythmic thrust powered by two percussionists performing on an array of instruments including cowbell and vibraphone. In this performance, pianist Winston Choi was front and center, but he did not serve so much as a concerto-like soloist as he did a member of the orchestra. It is a nonetheless large, exposed part with no shortage of knotty, sometimes pounding passages that were handled with unruffled aplomb by Choi, head of the piano program at Roosevelt University’s Chicago College of Performing Arts. The work has a defined, if predictable, structure of fast-slow-fast sections, with the middle section possessing a vulnerable, almost naked feel with hushed flute, bassoon and piano solos and the final section building in speed and tension to an almost manic intensity. The work was inspired by the “images of flame” in Ray Bradbury’s “Fahrenheit 451” and loosely follows the arc of the story. While those connections can be detected in the work’s progression, it could easily be enjoyed knowing nothing about its history. The Midwest premiere of Alex Mincek’s “Pendulum II: Yap, Yaw, Yawp,” revealed an unremittingly biting, alien collision of rat-a-tat brass, high-pitched screeds and breathy effects. Though well crafted, the work had little to differentiate it from the dozens of other soundscapes of this ilk. Rounding out the line-up was the American premiere of Elizabeth Ogonek’s “Ringing the Quiet” (2016), a five-minute piece that just seemed jarringly incomplete. Offering a nice contrast to those aggressive works were the two selections performed by the Chicago Youth Symphony Orchestra, which was packed onto the Harris stage. Conductor Allen Tinkham and the group opened their segment with Jonathan Newman’s five-minute “Blow It Up, Start Again,” commissioned by the ensemble as an encore. While lightweight, the piece was fun, immediately appealing in its suave, funky vibe – one that seemed ideal for a student ensemble. It was paired with the world premiere of Eric Malmquist’s “Prairie Music” (2016), a tonally centered, iterative work that was inspired by an autumn drive through the Midwestern landscape. One of the strongest offerings of the evening, it is constructed primarily of two- or three-note sustained phrases that blur and fold into each other against a constant percussive backdrop. The result is an evocative, complex work suffused with the kind of lonely unease that is easy to feel on a rural back road. A few final thoughts: It was strange that there was no master of ceremonies or the equivalent, someone to greet attendees, introduce the festival and its mission and then set the scene for each set of performances. Instead, the only on-stage remarks were a few opening words from a representative of the Driehaus Foundation, one of the festival’s sponsors, and some thank-yous during breaks – all of which were either perfunctory or just plain dull. Perhaps even more surprising, considering that this was a specifically new-music festival, is that none of the composers (other than Barber, who was also a performer) were allowed to speak even for a minute or two. It seems by now to be an accepted truth that such remarks can give listeners a chance to become at least superficially acquainted with a composer, and provide a helpful entrée into the music.